Praying through art is a multi-sensory way to connect to God through prayer. Visio Divina is one form of prayer using images – works of art, stained glass windows, icons, even images in nature. Learn how to pray with Visio Divina and be inspired to try it in your prayers! Visio Divina is translated as “divine seeing”. It is related to the prayer form Lectio Divina (divine reading), but instead of Scripture, this form of prayer uses visual elements to help set your mind on prayer. It allows God to speak into your heart through the image. This form of prayer has been used throughout the centuries, more popular in Catholic and Eastern Orthodox communities where icons are often used in prayer. However, Visio Divina is growing in use across Protestant communities, as well. My childhood church was filled with beautiful, century-old stained glass windows. Intricate, elaborate, stunning – especially when the sun hit them just right. Each window told a story. The big ones on either side of the sanctuary told stories from Jesus’ life. Angels who proclaimed his birth, Jesus at the well, the shepherds receiving the news of Jesus’ birth. How I loved to look at those windows and soak in each detail. I didn’t know it then, but viewing art can be a form of prayer. Visio Divina is one way to pray through art and can use any form of art – icons, paintings, stained glass windows, even scenes in nature. We are each wired in different ways. Some of us respond best to the written word, some to the spoken word, some to music, some to art, some to movement. We can connect to God in prayer through each of these ways. Though we may have a preferred sense through which to pray, the richest prayer life will come through experiencing God through all your senses. I’ve personally found Visio Divina to be a unique way to engage God in prayer that allowed me to approach a conversation with Him I wouldn’t have otherwise had. 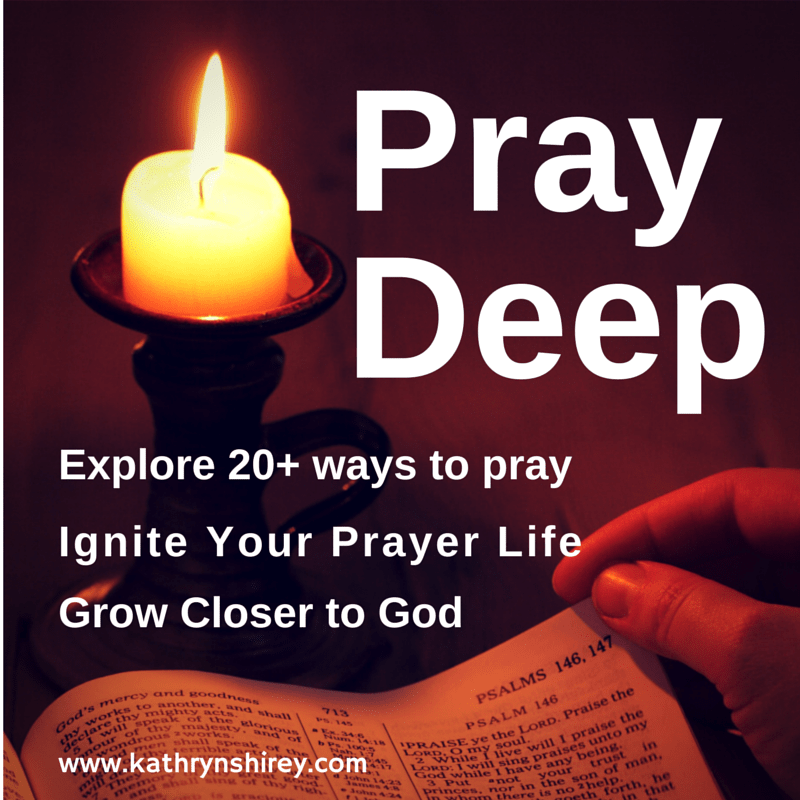 If this method of prayer is new to you, I encourage you to give it a try. You can use any type of image for Visio Divina. You might use images found in your church – a religious painting, a stained glass window, or an icon. You can look in art books or museum websites for works of art. Historical religious paintings are great choices and you can use the related Scripture passage to open your time in prayer. Also try praying with religious images from other cultures, or even more contemporary or abstract art. You don’t even need artwork for Visio Divina. Walk outside and use an image from nature. Before you begin, choose your image and have it visible – either be near it in person or have the image pulled up on your phone or computer. You may want to begin your time in prayer with a scripture reading. If you’re using a religious image, use the scripture related to that image. Or, use a Scripture from the day’s lectionary reading or just a favorite you want to pray. Close your eyes, breathe, clear your mind, and ask God to enter into this time of prayer with you. Ask God to speak to you through this image. Open your eyes and look at the image you’ve selected. Let your eyes pause and focus on the part of the image they’re first drawn to. Gaze upon just that part of the image for a minute or two. The close your eyes, still seeing that part of the image in your mind. Open your eyes and now look upon the whole image. Gaze upon all of the image, allowing it to draw forth a word, an emotion, or an image in your heart. What do you hear God whispering into your heart? What thoughts or questions is this image raising? What emotions do you feel? Continue to gaze and reflect as long as you need to, then briefly close and rest your eyes. Open your eyes. While looking upon the image, respond to God. Pray through the words, images, emotions, questions, and thoughts that are now on your heart. Continue to look upon the image as you pray. Then, close and rest your eyes briefly. As you close out your time in prayer, open your eyes and gaze again upon the image. Rest in God’s presence as you reflect upon this prayer experience. Consider how you’ll take this into your life. You may choose to journal about your experience. PRAY DEEP CHALLENGE: Try out Visio Divina today. 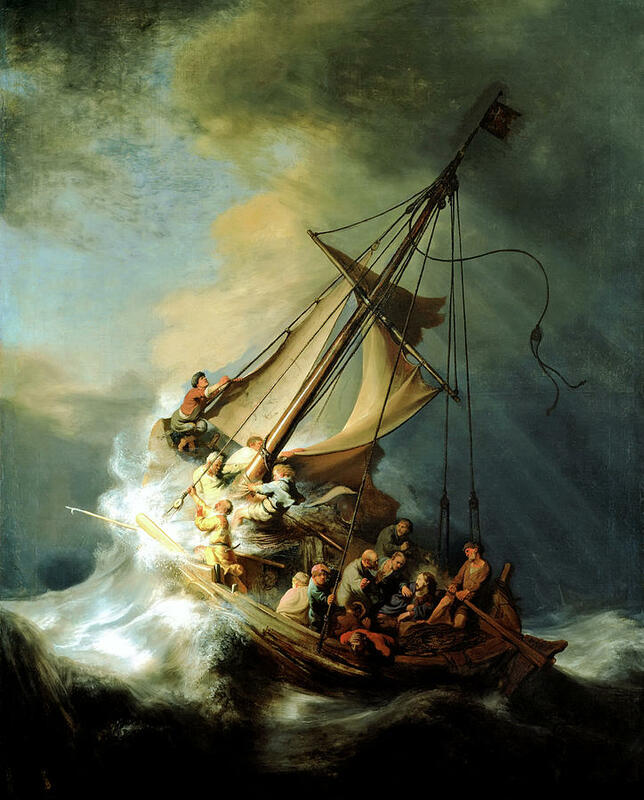 If you need an image, use Rembrandt’s “The Storm on the Sea of Galilee.” See how God can speak to you through an image – a painting, a window, an illustration. Journal your experience. If you need help experiencing Visio Divina with this painting, follow this Guided Visio Divina at SoulShepherding.org. I have not heard of this, but I thank you for bring it to my attention. I will try this. Thanks so much for all the work you do on your blog. I feel so enriched after finding and reading you. You are truly gifted and thank you for sharing. Kathy – thank you for your encouraging words here! It was truly wonderful to read this comment today. I’m so glad you these words are speaking to you. I love this, Kathryn! I have never heard of this type of prayer before but I am very intrigued. I am definitely going to try this. I am a very visual person so it makes perfect sense to me that there would be a form of prayer centered around visual stimulation. Thanks for sharing! This one was new to me, too, but when I read about it I knew I had to try it. I was surprised how much it affected me. Definitely one I’ll need to explore further. I have always thought the stained glass in churches were beautiful as they so tell a story. I have never heard of this type of prayer before. It is always good to learn of ways to keep prayer fresh so thank you! This type of prayer was new to me, too, but I love the idea of using pictures and windows as a prayer tool. Wish I’d known this one growing up, sitting in church so mesmerized by the beautiful windows. More great thoughts here today. Thanks for sharing this! 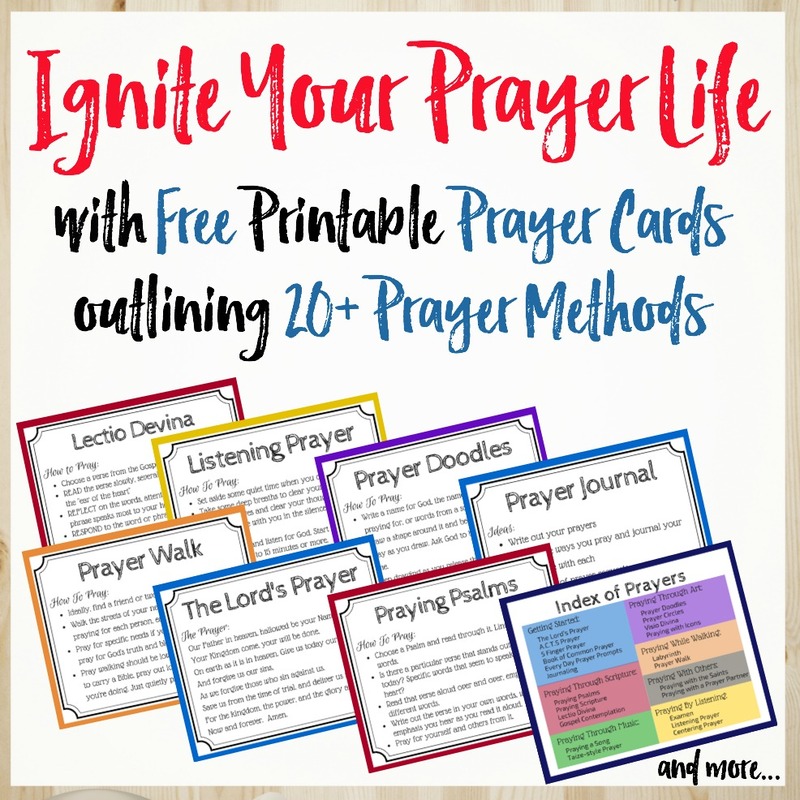 I’m still using your prayer prompt idea… everytime someone around me spits on the ground. 🙂 Thanks for linking with Grace and Truth.